How to Get the Most Out of Your Office Supplies?! Gazillion’s Jingle? Here’s Zack David! Whether you work in a cube, home office or corner office, your work space is a reflection of your organization and personality. What does yours say about you? With hectic schedules and meeting-packed days, it’s easy for it to get cluttered and chaotic, affecting your productivity and maybe even your next promotion. With Spring on its way, now’s the perfect time for an office clean up. The following 3Ds of spring cleaning will get you started. De-clutter. A year of going in and out of your filing cabinet can wreak havoc on your organizational system, papers skewed every which way. Take time to review and consolidate the contents of each file, recycling papers and folders where you can. Re-alphabetize and reorganize for future easy access. Cull through the cards in your Rolodex too, discarding – or moving into permanent storage – those individuals you’re likely to never call. Clear your bulletin board of memos and reminders by typing the information onto a single sheet. If you’re the kind of person who likes to keep your projects at your fingertips, neatly label a folder for each job and place your files in a desktop organizer. De-clutter your drawers, replenish supplies, then wipe down your phone and desktop with antibacterial cloths. Dust. Your keyboard and mouse get the most use, so spend some time carefully cleaning them. It’s easy for food particles, dust and other debris to collect between the keys. Simply shake your keyboard over the garbage bin or use compressed air in a can for the hard to reach places. Gently wipe the keypads with a soft cloth. Do the same with your mouse and computer screen. It’s best to do this when your computer is turned off. Spring cleaning your office doesn’t just refresh your work space, it helps you reorganize and refocus for the upcoming months. Start cleaning today! It is going to take one of the ladies in our accounting office just a minute to answer her phone! How Much Is A Gazillion? 1. ( often pl ) an extremely large but unspecified number, quantity, or amount: We saved a gazillion dollars using Gazillion Office Products! Promotional products are a great way to gain new customers and show your appreciation for your existing customers. When you need promotional products we have you covered! You can use our promotional products website to browse or contact your account manager for new fun ideas! We Found Another Way to Use Large Binder Clips! 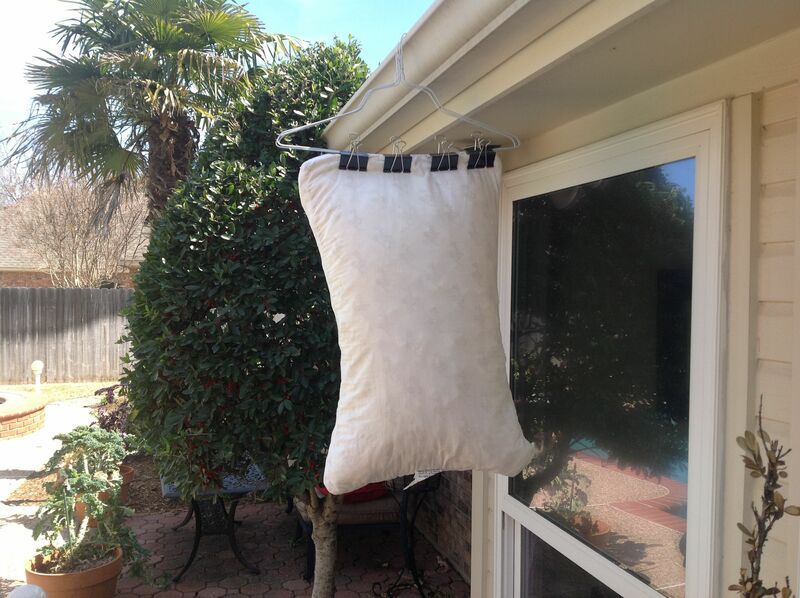 So, during the monthly pillow wash I couldn’t find a coat hangar strong enough to hold a semi wet pillow so, I thought to myself, I sell office products. Where are the binder clips? Next thing you know I am taking a picture posting it on the blog. 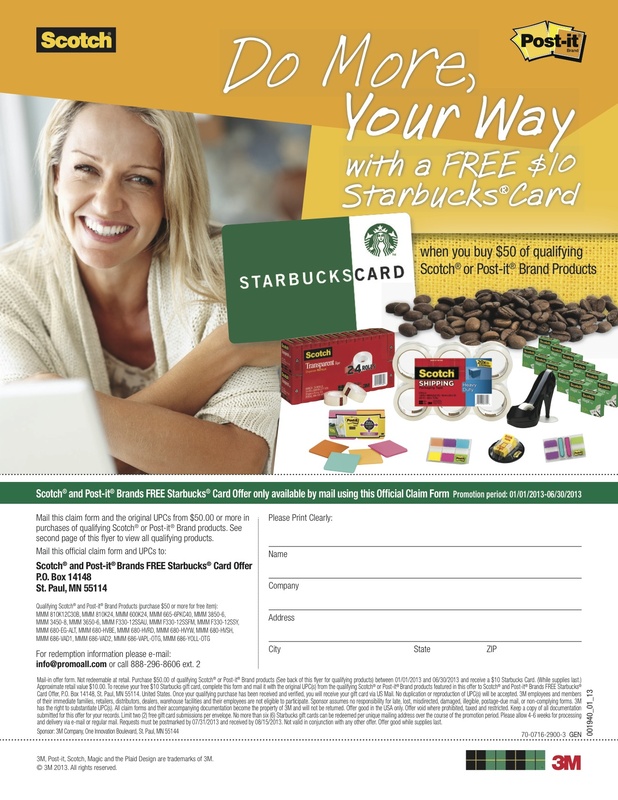 $10 Starbucks Gift Card When You Buy Post-it Notes or Scotch Tape! A Better Company Break Room!